Our Services are offered in Saskatoon, along with numerous traveling clinics that are conducted regularly at sites throughout the province. We are dedicated to providing exemplary health care for children, ensuring excellence in training of future pediatrics health care providers, undertaking meritorious research and advocating for the health and well-being of children and youth. As we prepare to move into a new Children's Hospital, it is important that we develop a strategic plan in order to achieve excellence in our clinical and academic missions. In a joint and shared vision, the Department of Pediatrics is striving to improve the health of children in the best family-centered environment, while focusing on training the next generation of pediatricians and creating groundbreaking research. Pediatric specialized transport has evolved since it’s inception 20 years ago, and plays an integral role in Saskatchewan’s pediatric critical care delivery. With broader geographic access and advancements in skills and technology, our pediatric specialized transport team is able to extend timely critical care into rural and remote communities. Through extensive support from Jim Pattison’s children’s hospital foundation, Saskatchewan’s pediatric critical care transport team performs over 500 transports per year. The team safely transports children between provincial facilities, enabling assess to the appropriate level of care. With highly sophisticated ventilators, advanced cardiopulmonary monitoring and portable blood work, the team is able to initiate life sustaining therapy in a timely manner. To deliver the highest quality care, our research for this program focuses on patient outcome metrics, and scoring systems that assess severity of illness. Universal and timely access to pediatric specialized care is a substantial challenge. Saskatchewan’s geographical range makes provision of medical expertise in remote communities extremely difficult. Utilizing remote presence robotic devices have helped to bridge these challenges, allowing us to directly visualize and examine critically ill patients for a prompt diagnosis and accurate treatment plan. Our recently published studies reflect the safety and feasibility of this innovative technology, and how we are trying to close the access gap that permeates health care. We currently support 3 northern communities and thanks to the ongoing commitment from the Saskatchewan ministry of health partnered with Jim Pattison Children’s Hospital Foundation, our goal is to service an additional 5 communities during 2018. We will continue expanding until all Saskatchewan children have timely access to our subspecialty support, regardless of their postal code. Nearly 25% of children admitted to PICUs have either a new injury to their brain/spinal cord or a neurologic complication of their illness. Despite the expertise found in children’s hospitals, there remains an unmet need for these very vulnerable patients: the breadth of neurologic injuries is immense but the research supporting clinical practice is poor. Pediatric neurocritical care has recently emerged as a subspecialty. The Jim Pattison Children’s Hospital had the vision to develop this area, and currently provides innovative care through multidisciplinary expertise from neurology, critical care, neurosurgery, psychiatry and neuroradiology. Newer developments include the utilization of non invasive ultrasound monitoring for traumatic brain imaging (transcranial dopplers and optic nerve sheath diameters), improved access to continuous electroencephalography, quick brain MRI (to minimize CT radiation exposure), early mobilization and delirium screening. Several exciting and novel initiatives are currently in the planning stages. Continuous Renal Replacement Therapy (CRRT) is a form of dialysis utilized for serious kidney injuries in some of our sickest patients. The Jim Pattison Children’s Hospital Foundation was integral in supporting the initiation of this program in 2007. Therapeutic apheresis results in the removal of blood components that are disease or symptom causing. Children with severe infections, neuromuscular diseases, hematologic/thrombotic disorders may be overwhelmed by inflammation and clotting and require plasma exchange. Utilizing the Spectra Optia aphaeresis system (donated by the JPCHF), Saskatchewan’s PICU has performed over a 100 treatments for a variety of disease processes. Recently, leukopheresis has been introduced, to assist children with high white cells in certain cancers. Extracorporeal Membrane Oxygenation (ECMO) has become an essential tool in the care of children with cardiac and pulmonary failure that has not responded to conventional management. In collaboration with our pediatric cardiologists, surgeons, and perfusionists, ECMO is initiated when necessary. Our multidisciplinary team of physicians, respiratory therapists and nurses strive for excellence in respiratory care through the use of standard and emerging therapies. Our expertise includes high flow therapy, non-invasive ventilation and non-conventional therapies such as non-invasive high frequency oscillatory ventilation (nHFOV), invasive high frequency oscillatory ventilation (HFOV) and high frequency jet ventilation (HFJV). Through innovative technologies we are pushing conventional boundaries to provide unique and individualized respiratory care to meet the needs of our patients. The Jim Pattison Children’s Hospital Foundation has allowed us to become pediatric leaders of electrical impedance tomography (EIT) by equipping our unit with Dräger Pulmovista 500 technology. We also employ other tools including lung ultrasound and quasi-static pressure-volume measurements. Our innovation and desire to advance patient care is deeply rooted in a philosophy of ethical clinical research. Guided by the scientific process, our programs continue to develop and evolve with the goal to optimize patient care. Led by specialized intensive care researchers, important clinical problems or questions are scrutinized, dissected and then studied in a concerted fashion. Our research continues to be well supported by institutional, Jim Pattison Children’s Hospital Foundation, provincial, and national grants. Sharing our research is critical to the program, as our discoveries may help other critical care providers with their difficult patients or scenarios. We are proud of our published work in peer review journals. The care of pediatric patients is becoming increasingly complex, and requires skills and knowledge sharing between multiple caregivers. Simulations are scenarios designed to closely approximate real situations - usually for the purposes of training or evaluation. Medical simulation based education and training provides an opportunity for team training without exposing patients to unnecessary harm. With tremendous support from the Jim Pattison Children’s Hospital Foundation, we use the Laerdal SimJunior patient simulator, which can be operated remotely using a tablet-based device. SimJunior represents a 6-year-old child that simulates a wide range of conditions from a healthy, talking child to an unresponsive, critically ill patient. The Simulation Program supports orientation and skill maintenance for new and existing members of the PICU, Pediatric Inter-facility Transport Team, and pediatric providers on the ward. These patient care handouts have been peer-reviewed by the division of Pediatric Emergency Medicine, and serve as helpful guides to common pediatric complaints. The division of Pediatric Endocrinology and Diabetes offers comprehensive inpatient and outpatient consultative & follow-up care for the children of Saskatchewan with all forms of diabetes and numerous hormonal conditions and concerns. Our multidisciplinary Pediatric Diabetes team cares for over 500 children in the province of Saskatchewan with Diabetes Mellitus. This team, supported by the LiveWell program, includes: Diabetes Nurse Educators, Diabetes Dietitian Educators and Social Work with referral to Clinical Health Psychology as needed. There are currently 3 physicians providing pediatric diabetes care in Saskatoon, including Dr. Au-Yeung (pediatrics), Dr. Inman (endocrine) and Dr. Nour (endocrine). Our program works closely with diabetes education centres throughout the province in order to provide unified and consistent pediatric diabetes care. This team manages the complex medical and educational needs of children affected by Diabetes Mellitus, including Type 1, Type 2 and others. The team provides teaching, resources and ongoing follow-up for a rapidly evolving host of treatment options in Diabetes including insulin injections, insulin pumps, monitoring devices and other medical therapies. The staff is also involved in the yearly Diabetes Canada Saskatchewan Children’s Camp for children with diabetes. Additionally, staff provide diabetes related education services to schools. Clinical resources for patients and families followed by the pediatric diabetes clinic are available online. Our Endocrinology clinics are provided by Drs. Inman and Nour and are supported by a Pediatric Endocrinology Nurse. This team provides expertise in the diagnosis and treatment of a host of endocrine disorders, including: growth, pituitary, thyroid, pubertal, calcium/bone, adrenal, and hypoglycemic disorders. Functional endocrine testing is conducted by our experienced Endocrine Nurse. Comprehensive endocrine treatment and teaching is provided by the endocrine team. By the summer of 2017, under the leadership of Dr. Inman, the Pediatric Health and Lifestyle Clinic will offer an interdisciplinary approach to the assessment and follow-up of children affected by obesity in the Saskatoon Health Region. This team will include: physician, nurse, dietitian, exercise therapist, and psychologist. This clinic will be a consultative approach with intermittent follow-up and will help to provide patients and families with further connections within their local community. Additionally, throughout the province, families are encouraged to participate in the free, self-referral MEND (Mind, Exercise, Nutrition, Do-it!) program. Our division is actively involved in medical teaching and research within the University of Saskatchewan. Current research projects have included both diabetes and endocrine related diseases. Currently, our centre is actively recruiting family members of those affected by Type 1 Diabetes to participate in the multicentre TrialNet pathway to prevention study. Those interested in participating can contact the coordinating research nurse, Joan at 306-844-1224. **Note: At this time, this clinic is only able to accommodate patients within the Saskatoon Health Region. The Division of General Pediatrics in Saskatoon is a dynamic group of general pediatricians who are active in the clinical, and academic visions of the Saskatchewan Health Authority and the College of Medicine. The division aims to provide evidence based, child and family centered care in a team based environment, where clinical care and learning occur together to provide the best care and experience possible for patients and their families. Members provide both inpatient care at the Royal University Hospital (RUH), and outpatient care either at RUH or at Saskatoon Pediatric Consultants. This allows the division to provide a medical home for patients while also provide continuity of care with the same team when patients with complex care needs are admitted to hospital. Inpatient Clinical Care - The division provides inpatient coverage for the two Clinical Teaching Unit (CTU) teams for patients admitted to Acute Care Pediatrics. These teams provide care for general pediatric patients admitted to hospital and consultative services for patients admitted to medical and surgical specialties as requested. Education for trainees is provided in a system of graduated responsibility based on the trainee’s level. General Pediatric Outpatient Clinics - The division provides referral based consultative services as requested by other physicians, including follow up of those patients requiring ongoing medical care. The division is committed to providing excellent pediatric medical education to both Undergraduate and Postgraduate medical trainees. This is done through large group lectures, small group interactive sessions, and clinical teaching in clinic and on the CTU. Members also provide education to other Colleges, including the Colleges of Dentistry and Nursing. For specific areas of interest, see each individual faculty’s profile. Members of the Division of General Pediatrics are actively involved in research. Please see each faculty member’s profile as well as the Department of Pediatrics Research page. Immune thrombocytopenic purpura (ITP) is the most common acquired bleeding disorder in children, with an estimated annual incidence of 4 per 100,000 children.1 It is characterized by destruction of antibody-sensitized platelets by macrophages in a number of organs, especially the spleen. This condition is defined by presence of thrombocytopenia (platelet count <150 x 109/L) with normal to increased megakaryocytes in the bone marrow, normal blood cell counts excluding thrombocytopenia, absence of splenomegaly, and the absence of other causes of thrombocytopenia. In the majority of children, ITP is an acute, self-limiting disorder with complete resolution of illness occurring within 6 months. However, 20 to 30% of children with ITP develop a chronic form of the disease with persistence of thrombocytopenia beyond 6 months. In May 2004, a working group of the Canadian Pediatric and Thrombosis Network was established. This group, the Canadian Pediatric Chronic ITP Working Group, embarked on the development of a national Canadian web-based Pediatric Chronic ITP Registry to better understand the natural history, clinical features, and a treatment response of Canadian children with Chronic ITP. This registry, hosted on a secure website at the University of Saskatchewan, will allow registered users at Canadian Pediatric Hematology/Oncology centres to confidentially enter anonymous patient data for subsequent analysis. Passwords are required with the final site database. Access can be obtained by clicking the following link. Once a username and password has been inputted, registered users may log into their reporting centre. Please contact Dr. Kaiser Ali via email or telephone 306-655-2744 for details. To provide a forum to discuss group data as equal partners with other National/International ITP Registries. To update management practices of childhood ITP through collaboration. To promote education and awareness of chronic ITP. Belletrutti M, Ali K, Barnard D, Blanchette V, Chan A, David M, Luke B, Price V, Ritchie B, Wu J. Chronic Immune Thrombocytopenic Purpura in Children: A Survey of the Canadian Experience and Review of the Literature. Submitted for publication May 2005. For inpatients – on-call consultation service for patients admitted with challenging and/or severe infections, as requested by general pediatricians and other subspecialists. For outpatients – providing follow-up of patients originally seen as inpatients with a wide variety of acute infections, as well as patients with chronic infections such as hepatitis B, hepatitis C, infections occurring in patients with HIV/AIDS or other underlying immunodeficiency disorders. We also assess, and provide care for infections and other medical issues seen in new immigrants, refugees or adoptees. We provide recommendations for routine or special immunizations for children with a variety of medical disorders or international travel-related needs. Collaboration with the Canadian Pediatric AIDS Research Group (CPARG) – surveillance for the effectiveness of perinatal measures to prevent maternal to child transmission of HIV. Immunization Monitoring Program ACTive (IMPACT) – surveillance of hospital admissions with vaccine-preventable diseases (VPD), as well as those with severe or unexpected adverse events following immunization (AEFI). The Special Immunization Clinic (SIC) – assessing children with previous AEFI, providing immunization to those deemed safe to revaccinate, and monitoring for follow-up adverse event(s). Specific immunization studies have also been added to SIC, including the effectiveness of revaccinating after treatment for leukemia. Other projects may also be added. Infectious disease outbreak studies (e.g. trichinellosis in northern Saskatchewan), retrospective outcome studies (e.g. children admitted with respiratory syncytial virus) and others. Our division appreciates the support from our administrative assistant, Jennifer as well as the nurses, social worker, pharmacist and other members of the Positive Living Program (PLP, who serve our patients with HIV). We wish to acknowledge the faculty members of the adult infectious diseases division, who also provide on-call services for pediatric patients throughout the years. Below is some information on Genetic Services in Saskatchewan in PDF format. Royal University Hospital serves as the tertiary referral centre in obstetrics and neonatology for central and northern Saskatchewan, and cares for approximately 12,000 births per year. The Neonative Intensive Care Unit (NICU) is located at the Royal University Hospital along with all pediatric subspecialties and general pediatrics. The NICU has 29 beds as well as an 8 bed Pediatric Intensive Care Unit (PICU)--the only one in the province. The Division of neonatology includes four GFT neonatologists, one intensivist, research staff, staff dedicated to neonatal transport and neonatal follow-up, as well as administrative personnel. The faculty demonstrates an unusually strong commitment to the education of residents as well as to a rapidly expanding research program. The research interests of the neonatologists are diverse but with particular concentration in the area of clinical care, randomized control trials, and basic science. Research activity is enhanced by laboratory space dedicated to neonatology in Royal University Hospital. The Pediatric Pulmonary Division at Royal University Hospital provides comprehensive and coordinated healthcare to manage respiratory health concerns for the children of Saskatchewan. Our service deals with diagnosis and management of most breathing disorders including obstructive airways disorders like asthma or cystic fibrosis, sleeping disorders, premature lung disorders, and congential airway anomalies. We provide the services of a full pulmonary function lab, sleep monitoring, sweat testing, immune/allergy testing, and examination of the airway with flexible bronchoscopy. Our Cystic Fibrosis clinic supports more than 40 children and their families. Our physicians and nurses work with a multidisciplinary team of Respiratory Therapy, Physiotherapy, Dietary and Social Work. This team manages the intense, complex medical needs and education of these brave children. Our Division strongly supports education and research. Dr. Darryl Adamko, Division Head, is an Associate Professor and Clinician Scientist within the University of Saskatchewan. We have a dedicated staff of nurses and respiratory therapists to help children and their familes understand and manage their illness. This includes asthma educators, certified through the Lung Association of Saskatchewan Resp Trec-Respiratory Training and Educator course. No service is able to function optimally without administrative support. The Pediatric Pulmonary Division is fortunate to have exceptional administrative support to assist our patients and families, and ensure the smooth and efficient management of our clinic. Referral to our Pulmonary Clinic, or request for Pulmonary Function testing, can be requested by a family physician or pediatrican. Referrals can be faxed to 306-844-1514. The Department of Pediatrics is committed to developing programs that provide the highest standards of education for undergraduate and postgraduate healthcare trainees, as well as for practicing physicians and affiliated pediatric healthcare providers. Thank you for your interest in the Department of Pediatrics Educational Programming. Our Pediatric Undergraduate Medical Education (UGME) program is designed to be fun, interesting, challenging and to prepare you with the professional attitudes and skills that will benefit you throughout your career - no matter what area of medicine you choose to practice in. We offer body system oriented didactic and small group session instruction to medical students in their pre-clinical years. Final year medical students (JURSIs) rotate through in-patient and out-patient services during a 6-week rotation. Professional Skills II builds on professional and clinical skills acquired in Phase A to allow students to become increasingly proficient at establishing diagnoses and planning therapeutic interventions. Because of the degree of student / patient interaction during this course, the values and attitudes pertaining to the physician/patient relationship will also be stressed. This course is designed to give the fourth year students instruction in providing care for the pediatric and adolescent patient and to enable the student to recognize the need for referral, when necessary. The instructional methods used include: informal bedside teaching, formal lectures, outpatient teaching, experience in doctors’ offices, experience in special clinics, participation in various academic rounds, and taking part in patient care activities under supervision. This will be supplemented by individual reading about important topics in the pediatric core material. While on the wards, students are expected to take responsibility, under supervision, of the day-to-day care of their assigned patients. The instructional objectives of the rotation include general pediatric objectives with regard to knowledge, skills and attitudes, and specific objectives related to particular topics and organ systems. The student will develop clinical skills which include: interviewing the parent and the patient, the taking of a complete history, the performance of a proper physical examination, and the completion of medical records in approved style. The student will also be taught to communicate these facts to other members of the health team at the bedside, during seminar hours, or in the classroom and will be taught to correlate the information obtained into a problem list and make appropriate plans for managing them. The student will be made aware of the value and application of specialized help from other health personnel and community resources. He/she will be encouraged to make use of the reference library, textbooks, journals, tapes and other resources dealing with clinical pediatrics. Students are expected to read around their cases and to expand their general pediatric knowledge by independent learning to supplement academic half-day, JURSI seminars and clinical teaching. Two weeks in Pediatric Outpatient Clinics attending general and subspecialist pediatric clinics as well as Pediatric Emergency shifts and one day in the NICU. Subspecialist pediatric clinics include those that are on-site at the Royal University Hospital, as well as Social Pediatrics and Developmental Pediatrics Clinics. Social Pediatrics are run out of school-based clinics. Developmental Pediatrics clinics are based at the Kinsmen Children’s Centre. The Department of Pediatrics offers funding for 4 years within our core General Pediatric Residency program. Residents may choose to do 3 core years, and then go on to pursue a fellowship at an institution elsewhere; or stay on to complete their 4th year at the University of Saskatchewan. The Pediatric Residency Program is fully accredited by the Royal College of Physicians and Surgeons of Canada. The Department offers accredited subspecialty fellowship training in Neonatal-Perinatal Medicine and Neurology. The program endeavours to ensure that residents, upon completion of their training, are well equipped to provide comprehensive Pediatric care to all patients – from consultative Pediatric services to management of the critically ill patient. During the 3 or 4 years of training, residents gain competency through comprehensive exposure to a diverse Pediatric population. At completion of their training, residents are expected to demonstrate competency to practice as a General Pediatric Consultant. Residents must have met the requirements in all of the 7 CanMEDs Roles. Residents must demonstrate professionalism; have good communication skills; understand and demonstrate how to collaboratively work within a health care team; advocate for patients and families at various levels; demonstrate the ability to be a self-directed learner. To contribute to the success of Canadian physicians and the delivery of high-quality patient care, the Royal College of Physicians and Surgeons of Canada has embarked upon an initiative to introduce competency-based medical education (CBME) in Canadian postgraduate specialty training and in professional practice in Canada. This initiative, called Competence by Design (CBD), aims to enhance patient care by aligning medical education and lifelong learning with evolving patient needs and empowering learners to more fully engage in their education process. CBD will use time as a framework rather than the basis for progression. It is not anticipated that the duration of training will change for the majority of trainees. Residency programs will be broken down into stages, and each stage will have a series of milestones based on required competencies. These milestones will create more targeted learning outcomes and involve more frequent, formative assessments within the clinical workplace to ensure residents are developing and receiving feedback on the skills they need. The Royal College anticipates that all specialty and subspecialty programs in Canada will adopt CBD in gradual phases. All disciplines have been divided into seven cohort groups, each of which will adopt CBD at different times. It is anticipated that national implementation of CBD within certain, individual programs could begin as early as July 2017 - with more disciplines to following in subsequent years. Please visit the Proposed CBD Rollout Schedule to find out when residents entering into Paediatrics could potentially experience CBD. All programs implementing CBD will continue to undergo the same rigorous accreditation processes as traditional programs. All CBD programs (and traditional programs) will continue to lead to Royal College approved certification. Certification for trainees in both CBD and traditional programs will include the completion of a Royal College examination; however, residents in CBD programs will also be assessed against program milestones throughout their training. Within a CBD program, all milestones (documented within an electronic portfolio) and the Royal College examination must be successfully completed to achieve certification. For more information, please contact the Royal College. The Patient and Family Advisory Council is chaired by Mrs. Brielle Lepp and works closely with the Department Head of Pediatrics, Dr. Laurence Givelichian. The Council strives to make positive changes by cultivating respectful empowering partnerships between patients, families, leadership and staff. It advocates for changes that enhance the delivery of high quality compassionate patient and family centred care. • Promote improved relationships between patients, family and staff. • Provide input into policy and program development, implementation and evaluation. • Participate in the development and planning of new facilities and facility renovations. • Channel information, ideas, needs and concerns of patients and families to hospital administration and staff. • Review issues referred to the council and provide feedback. • Help to develop or review informational materials for patients or families. • Participate in education regarding Patient and Family Centered Care throughout the organization. • Function as a liaison for patients and families serving in a variety of advisory roles. • Our overriding guiding principles are those at the foundation of patient and family-centred care: respect participation, information-sharing and collaboration. • The PFAC will act in congruence with the MCHS Strategic Plan and the SHR Strategic Plan and values: respect, compassion, excellence, stewardship and collaboration. • The Council will use collaborative dialogue and decision making processes that balance and respect the knowledge and expertise of the patients/families and the care providers. • SHR will encourage participation of physicians and other members of the multidisciplinary care team in activities of the Council. • The Council's role is to deal with comprehensive range of issues and ideas regarding family-centred care. While stories of personal or individual experiences with MCHS are welcome as examples, the role of the Council is not to be a support group or to resolve individual issues or concerns. • The Council values diversity and promotes understanding and sensitivity towards diverse cultural and lifestyle practices and beliefs. 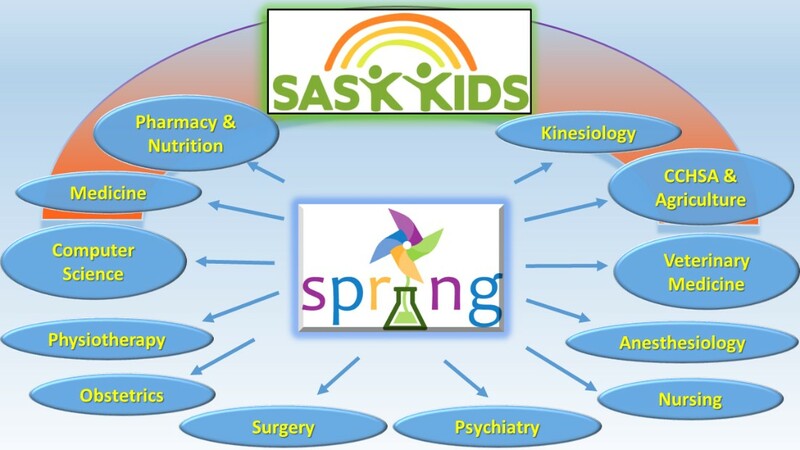 SPRING, the Saskatchewan Pediatric Research and Innovation Group, is a consortium comprising a diverse group of University of Saskatchewan researchers all of whom are engaged in child health research. To advance the intensity and productivity of Child Health Research in the Department of Pediatrics and the University of Saskatchewan by through multidisciplinary collaboration. Director of Pediatric Research Dr. Darryl Adamko is a clinician (Respirologist) and research scientist. Dr. Adamko has a very strong record of research productivity and is extremely dedicated to translating research findings into useful applications to improve the health of our children. Research Facilitator Tova Dybvig is the Research Facilitator for the Department of Pediatrics at the University of Saskatchewan. In this role she supports faculty with their research activities including grant applications, editing, ethics applications, and several other research-related administrative tasks. Resident Research Coordinator Oluwole, Oluwafemi is a Postdoctoral Fellow in the College of Nursing and the Canadian Centre for Health and Safety in Agriculture. Dr. Oluwafemi will be available to assist pediatric residents with research projects, including: matching residents with supervisors, formulation of research ideas, assistance with ethics applications and statistical analysis. On Thursday, April 18, 2019 the Department of Pediatrics will be hosting the Child Health Research Trainee Day. Residents, graduate students, undergraduate students, and post-doctoral, who are engaged in child health research, will be presenting their work. To RSVP for lunch, and receive further information, please contact Tova Dybvig. The Children's Health Research Trust Fund exists to promote and facilitate the highest standards of scientific research, to ensure the long-term health and well-being of Saskatchewan children. Please see below for details on the General Funding Pool, as well as the Special Funds relating to specific pediatric health care concerns. The Adolf Polisiuk Research Fund particularly encourages the submission of research proposals relating to Sudden Infant Death Syndrome, perinatal and neonatal medicine as well as studies for which obstetrical and pediatric collaboration is required. The Idy Leonoff Research Fund encourages submission of proposals relating to childhood cancer. The Kiera Goertz Research Fund promotes studies relating to the care and treatment of children with heart disease. The Fund particularly encourages applications from researchers representing any of the health care disciplines concerned with the welfare of children with heart disease and their families. The Ludwig, Olga and Constance Kaye Research Fund exists to support and encourage research relating to the effects on children of infectious disease during their mother's pregnancy, particularly diseases which affect eyesight and/or hearing. The Tamara Esther Avivi Research Fund was established to promote and facilitate research relating to improving the understanding, treatment and prevention of childhood asthma and allergic disorders. The Richardson Research Fund was established to promote research relating to neurologic disorders. In particular, the Fund encourages research relating to spinocerebellar degeneration and other forms of cerebellar ataxia. The Fund encourages research that contributes to new insights into these disorders that would lead to new therapies or cures. Donate to the CHRTF, and indicate which special fund you wish to donate to in the Comments box. Members of the Department of Pediatrics conduct research studies to improve health and services for patients and families in Saskatchewan. The Permission to Contact Youth for Research Program allows youth and young adults to sign up to learn about future research study opportunities happening in the Department of Pediatrics. Youth and young adults age 16-25 years who have accessed pediatric care in the past or may in the future. By choosing to participate, you are not consenting to participate in a research study. You will receive information on research opportunities. Participation in this program is voluntary. You may withdraw any time without impact on your continuing medical care. Interested in signing up? Visit the REDCap website, or contact us for more information. Jim Pattison Children's Hospital Foundation of Saskatchewan (CHFS) - CHFS's mission "is dedicated to raising funds for the enhancement of children's healthcare and the Children's Hospital of Saskatchewan." The Lung Association of Saskatchewan's role is "to improve respiratory health and the overall quality of life through progams, education, research, training, treatment, and prevention of lung disease." With regards to pediatric respirology, the Lung Association supports the children of Saskatchewan in many ways by funding research, providing financial assistance in recruiting a pediatric respirologist, as well as offering training programs for continuing education of healthcare professionals. For more information, please visit www.sk.lung.ca. Northern Medical Services is a Division of the Department of Academic Family Medicine, College of Medicine, University of Saskatchewan, and has a vision of healthy northern communities. The Division's mandates include a spectrum of medical services from primary medical care and health promotion, specialist medical care, public health, and research and education. 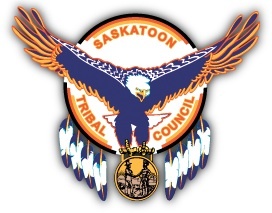 Its mission is to work with northern tribal councils, northern health authority boards, communities, health-related organizations and government to improve the health and wellbeing of northern residents. For more information, please visit www.northerndocs.ca. The Arthritis Society is Canada's only charitable organization that provides leadership and funding for research, advocacy and solutions to improve the quality of life for Canadians affected by arthritis. For hundereds of Saskatchewan children, the physical pain and disability of arthritis interferes with everyday activities and isolates them from their friends. 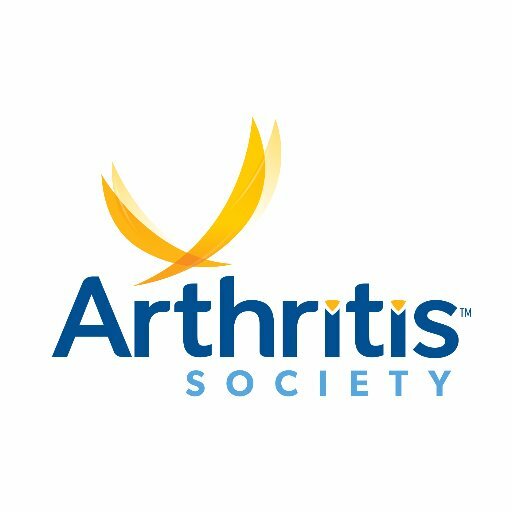 The Arthritis Society supports a year-round network of resources to help families manage symptoms. For more information, please visit www.arthritis.ca. Greater Saskatoon Catholic Schools is Saskatchewan’s largest Catholic school division, with 43 schools in Saskatoon, Biggar and Humboldt and new Catholic schools planned for Martensville and Warman. The school division nurtures faith, encourages excellence in learning and inspires students to serve others, making the world a better place.